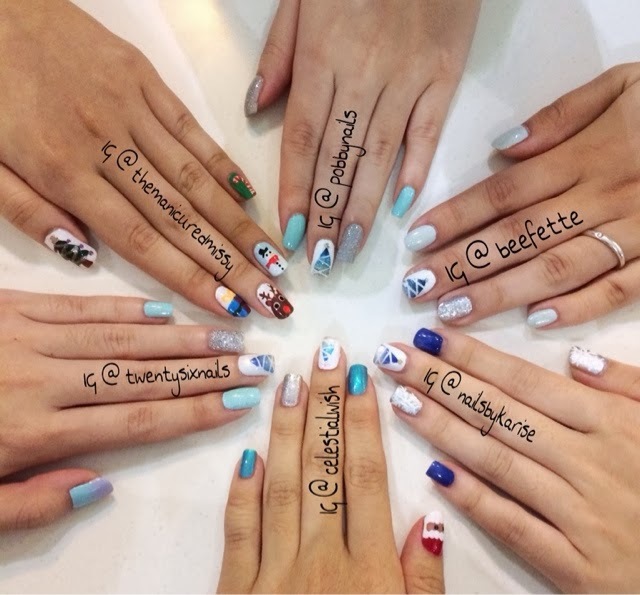 Celestial Wish: 1st IG nails meet-up! I am back from my exams! Some fun things has happened today! I finally met up with my IG nail girls today! We have set on a theme, a Christmas theme! 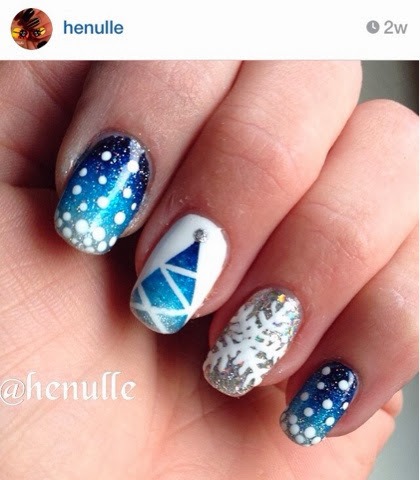 We were inspired by IG @ henulle! Here is her nail photo that we were inspired by! This is the close up shot of my mani! Also, besides that! We had a secret Santa exchange! It was successful! 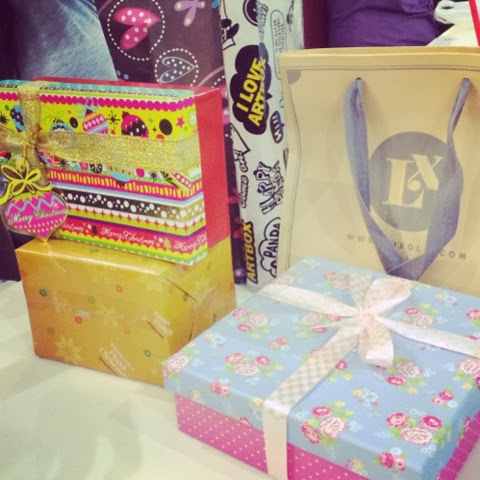 Look at all our presents lined up! 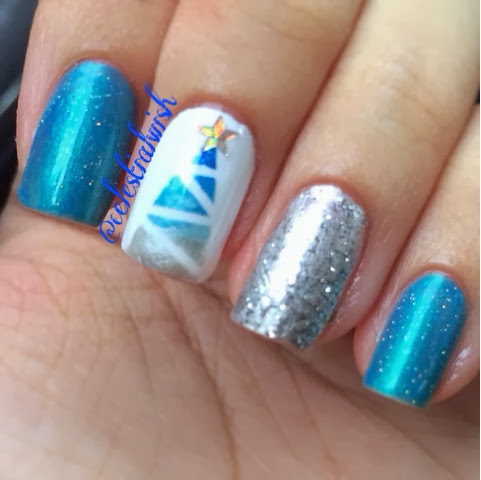 This image was taken from my receiver blog, Karise (IG @ nailsbykarise)! Check out her blog! She said that the Santa in the photo is me! Hahaha! I received a present from Priscilla (IG @pobbynails)! 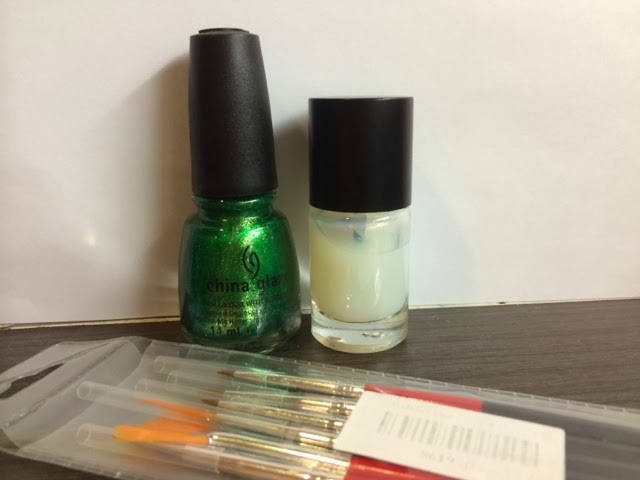 I received a China Glaze's Running In Circles, a nail foil glue and 6 nail art brushes! I really love the green! It's the perfect Christmas green! Thank you so much Priscilla! 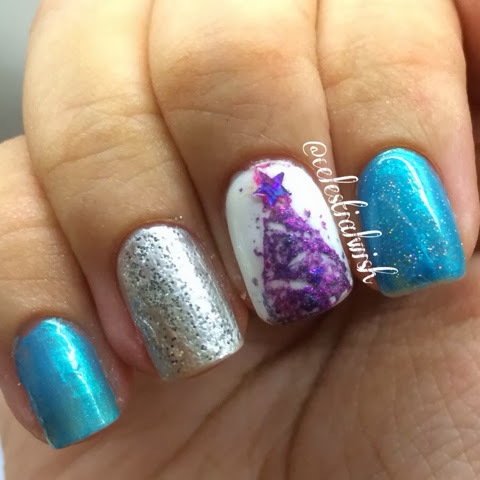 And so, I couldn't bear to take off my current mani, but I wanted to try the foil glue! So I did a Christmas tree on my right hand middle finger as it was a olain white. Didn't had enough time this morning to paint finish. My end results! Also, I bought some things yesterday and today! 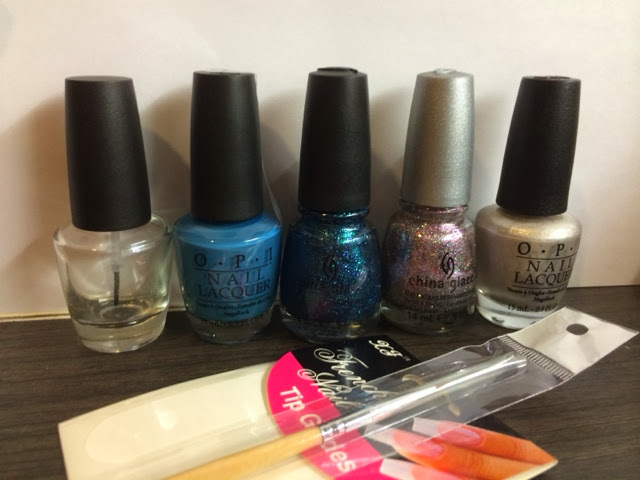 An empty polish for me to make my own peel off base coat, OPI's Suzi Says Fbf Shui, China Glaze's Water You Waiting For, China Glaze's Full Spectrum, OPI's Birthday Babe, 1 fine detail brush for nails & some French tip curve guides! I really enjoyed myself today with the girls!